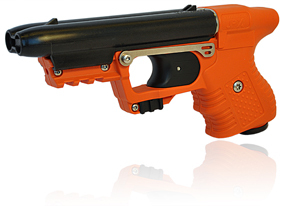 The FIRESTORM JPX 2 LE is a reloadable high-tech OC delivery system. 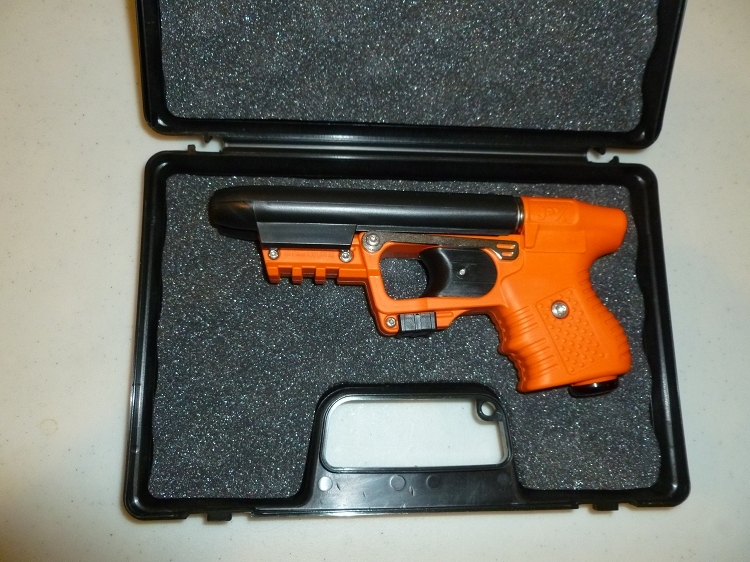 Each cartridge (two per magazine) fires exceptionally potent liquid OC at 405 mph with effective distance of 23 feet. The JPX is very well built. So far I've only fired the inert cartridge and it was very accurate and easy to fire. I also attached a Surefire x300 ultra light to the JPX. Which was tricky but I got it on there. The Surefire rail is to blame not the JPX. All in all a great tool!